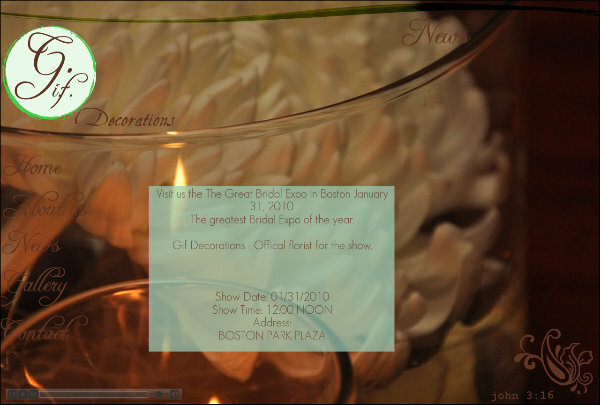 Visit us the The Great Bridal Expo in Boston January 31, 2010. The greatest Bridal Expo of the year. Gif Decorations - Offical florist for the show.